October 2014 – Under Every Leaf. On the morning of Sunday 13th April 1919 thousands of protesters had gathered in the Jallianwala Bagh garden in the holy city Amritsar, Punjab. Mingled with the protesters were Sikh pilgrims celebrating the festival of Baishakhi. Numbering about 15,000 the crowds was largely peaceful and demanded the release of two protest leaders who had been arrested earlier in the week and moved to a secret location. Ignoring the curfew, ordered by the Indian Government after various violent acts across the PunJab, the crowd were determined to have their demands met. On hearing of this illegal gathering and fearing the start of a major rebellion, the local military commander Brigadier-General Reginald Dyer gathered 50+ Gurkhas from the garrison and led them to the gardens. On arrival at the gardens the vast crowd shocked Dyer and he immediately ordered his men into position on a bank overlooking the crowd. As the situation dawned on him, Dyer came to believe he was about to save the Raj from rebellion. The gardens were surrounded by large walls and buildings and the few exits were narrow and many were also locked or blocked by Dyer’s men. Dyer was determined to punish the crowd and prevent it spreading further so without warning he gave his men the order to fire. With the Gurkhas firing indiscriminately the crowd began to panic and move towards the exits. In the following stampede many women and children were crushed underfoot. The protesters now began to crowd around the blocked and locked exits and the soldiers started to target these large groups of protesters. As the bullets from the soldiers .303 rifles began to find their targets the dead and injured began to further block the exits, panic began to grow as the protesters realized they had no where to go or hide. Men, women and children started to fall to the accurate shots of the battle hardened Gurkhas. 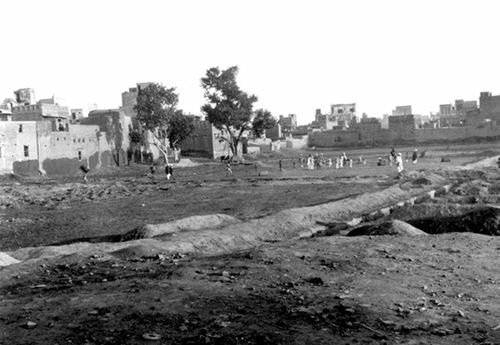 The Jallianwala Bagh garden 1919. Taken after the Massacre. For a full ten minutes the soldiers kept up this fire until their ammunition began to get low and Dyer gave the order to cease fire, A deathly silence settled over the gardens punctuated by the cries and groans of the injured. As his men shouldered their arms, Dyer could look at the scene in front of him with the satisfaction of a job well done. The official body count for the massacre was put by the British authorities as 379 killed and approximately 1000 wounded although the Indian National congress’s own investigation put the figure closer 1500 casualties including 1000 killed. Martial law was imposed on most of the Punjab and rigorously enforced by the Indian authorities. Not everyone approved of his actions and the British government was ferocious in its condemnation of the action. Secretary of State for War Winston Churchill called it monstrous and former Prime Minister H H Asquith described it as “one of the worst outrages in the whole of our history“. Churchill went even further during a debate in the House of Commons in July 1920. Churchill urged the government to punish Dyer and succeeded in persuading the House of Commons to forcibly retire Dyer in 1920. Despite this censure, Dyer was still seen as a hero in some eyes, the House of Lords passed a resolution praising his actions and in India he was seen as the saviour of the Raj by British society. He stated that he intended to strike fear into the Punjab and instill a fear of the British to deter further rebellions. 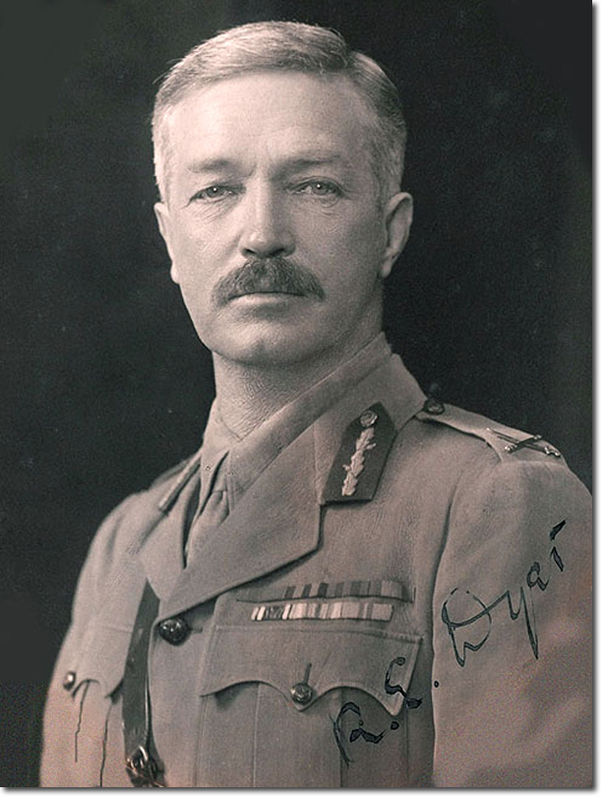 Brigadier General Reginald Dyer died in 1927 still believing he had acted with honour and had saved the jewel in the Crown with his actions. The Amritsar Massacre shocked the world, already numb to the slaughter of the First world war. It was seen by many as the beginning of the end of British rule in India. Many in the Punjab felt betrayed by the action after the service and losses the Punjab had given during the war. 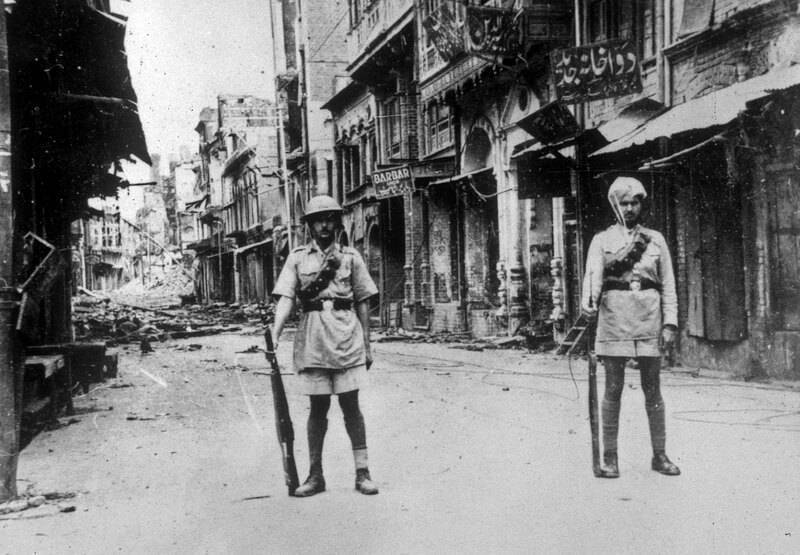 A relatively peaceful province became the center of Indian resistance to British rule and the people of the Punjab lead the way to Indian independence.